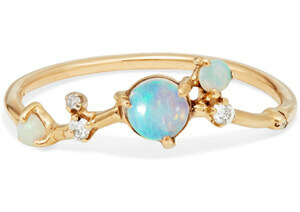 LA-based designer Kathrine Kim, the owner of KatKim, always knows how to make me swoon over her jewelry. Minimal yet innovative designs for everyone to love. So here I am today, showing off her signature ‘Ear Pin’. 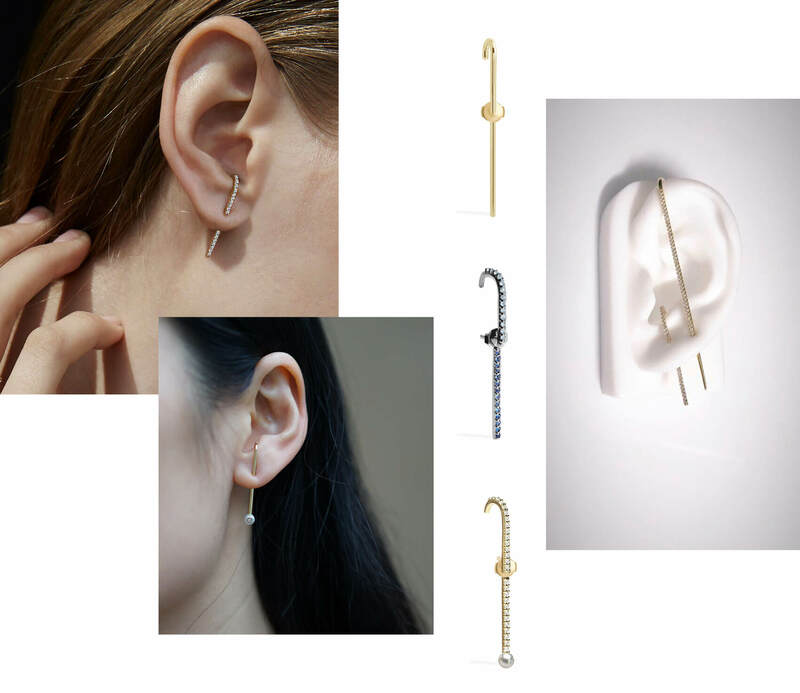 The Ear Pin Collection, is a wearable take on the designer’s modern interpretation of a safety pin and comes in various styles. The Ear Pins are easy to wear, it hooks around the top of the ear and is then inserted into a lobe piercing giving the illusion of a cartilage piercing. Damn rad but also very stylish and distinctive if you ask me. 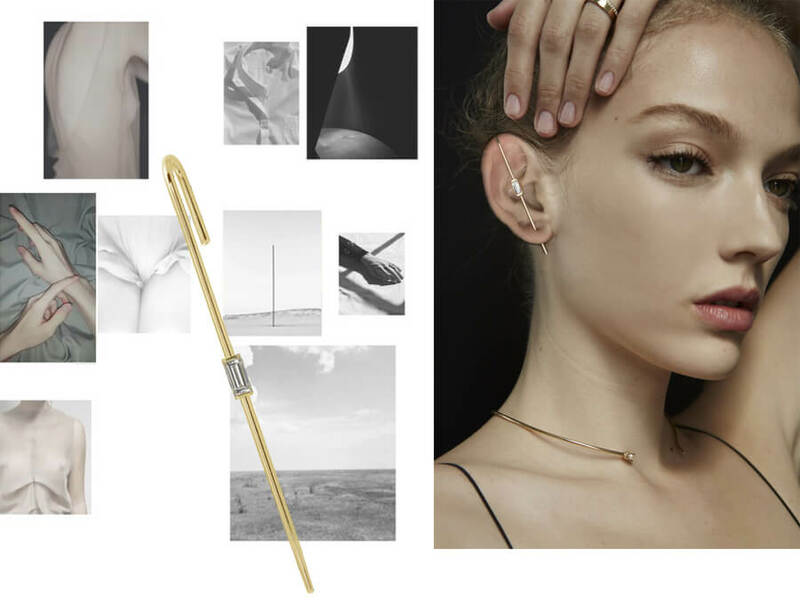 The Thread Ear Pin, the original version, isn’t the only Ear Pin-style she designed. Keep scrolling to discover them all! 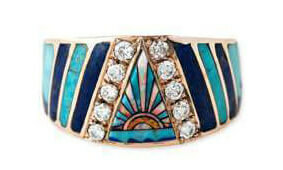 All versions of the pin are available with sapphires, pearls, and diamonds to elevate your style even more. They can also be worn alone or in multiples, so they’re very versatile for sure. 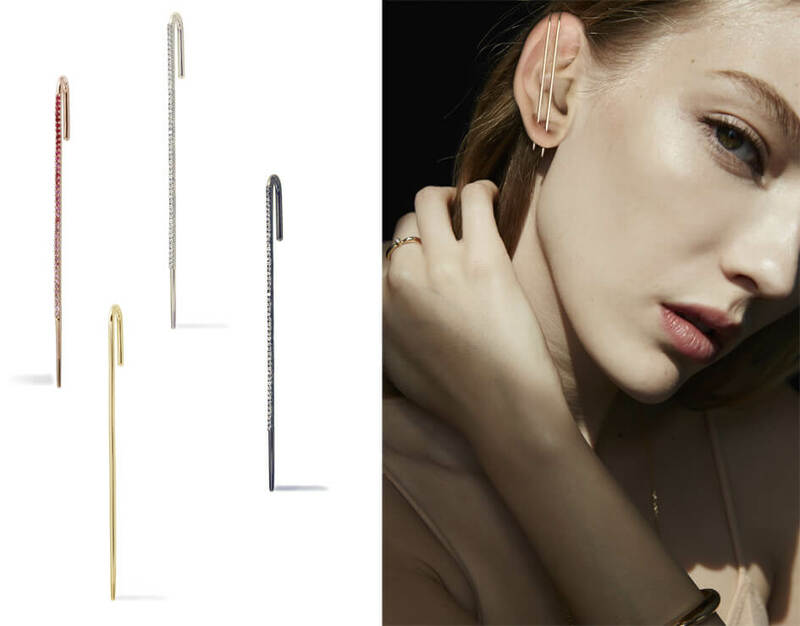 The Ear Pins are delicately edgy to make make a bold statement with a touch of simplicity and elegance! 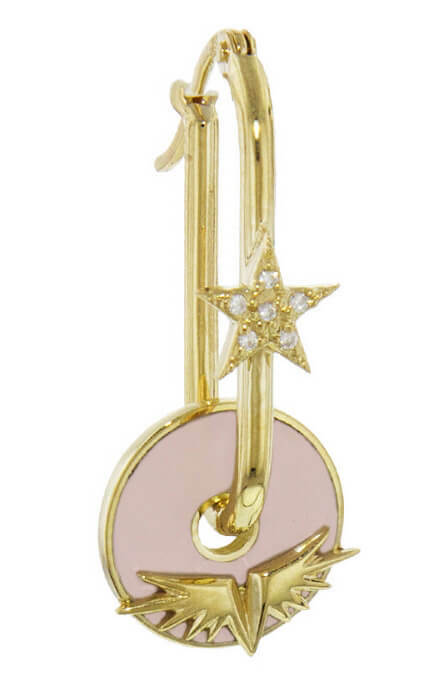 Where came the idea for the Ear pins came from? 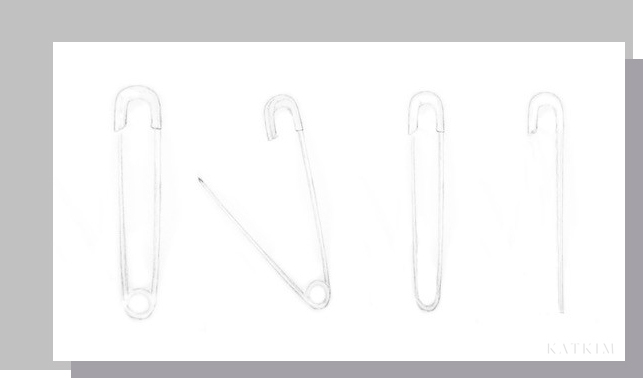 I always loved how iconic the safety pins were and what they stood for. 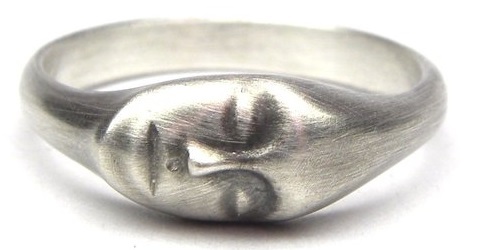 I wanted to create a simple yet striking way to wear one. I had a jumbo safety pin that I cut in half with my pliers and put it through my piercing and that is how the idea transpired. What kind of women wear KatKim? Who is she? She appreciates quality and design. She wants something that is unique but it can’t be just that – there has to be something exciting as well. 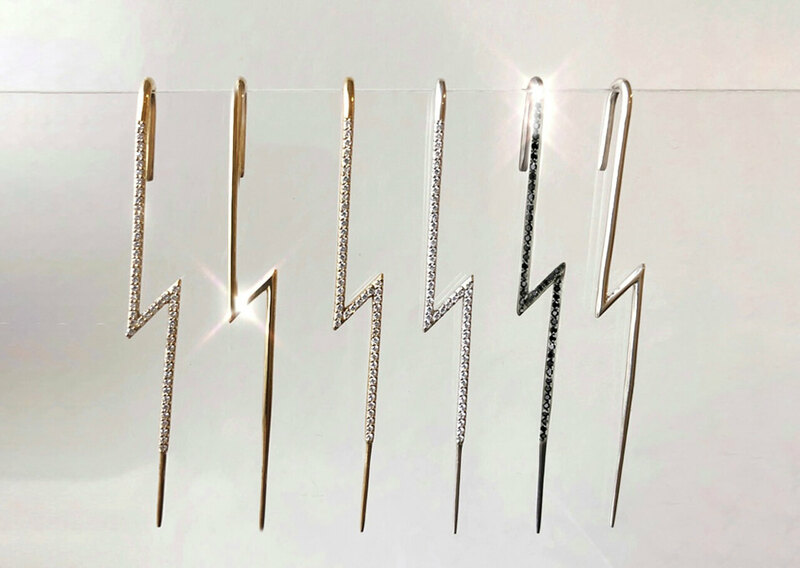 If you’d had to pick just one Ear Pin, which is your favorite? 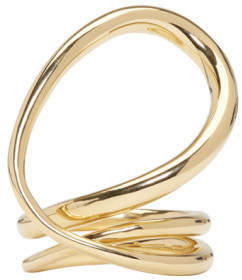 I’m always in my Diamond Thread Ear Pin in 18K yellow gold. 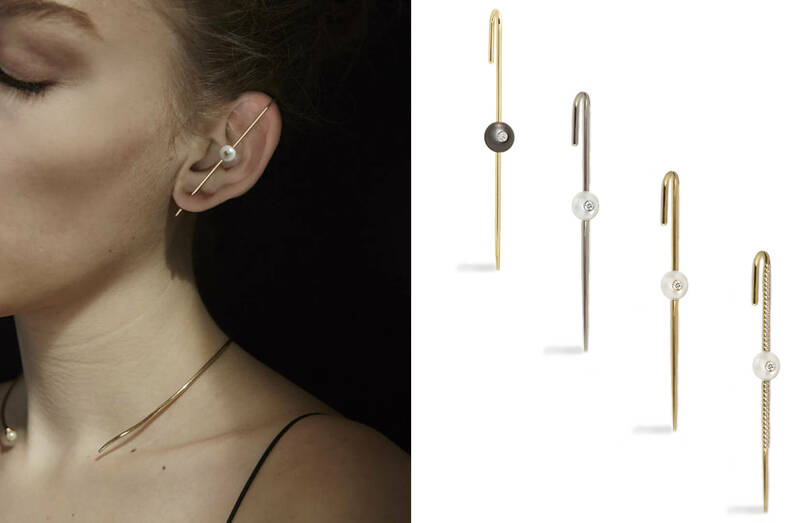 Is the Ear pin easy to wear? Does it fit all ears? 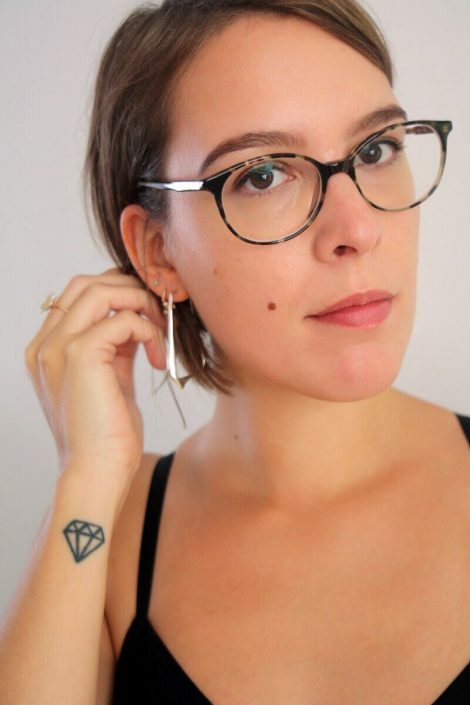 Yes, it’s very easy to wear and it acts as a standard earring but only requiring you to hook the top over your ear. I have run so many prototypes and countless fittings to perfect this piece so it surely serves all ears. 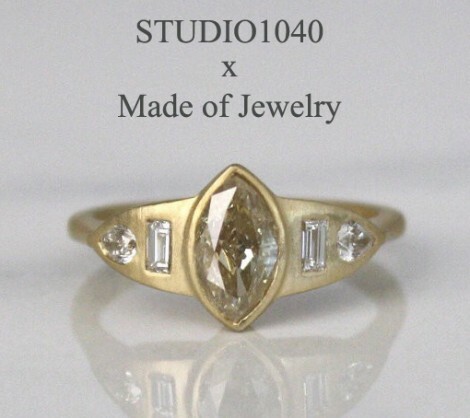 How did you get started in the jewelry business? 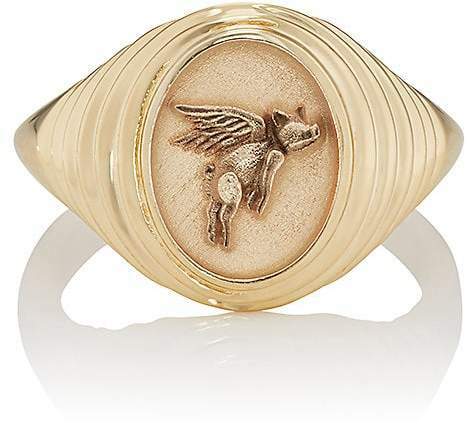 I knew I always wanted to start my own line of jewelry while attending Central Saint Martins in London. Soon after I completed my studies at FIT in New York is when I felt ready and decided to start my business. What inspires you most when creating new pieces? I like the contrast of hard and soft worked into experimental forms which I feel add depth and character to every piece. What are you currently fascinated/inspired by and how is it feeding into your work? We have just bought our home after moving to Los Angeles from New York, so I have been spending a lot of time studying interior design and furniture which has been a variation in my design scene. I don’t really have one. It’s very organic. I like to see new exhibitions and read about artists I admire. I sketch a lot which I find very therapeutic. The key for me is to start with a strong concept and then execute into prototypes. The whole process is endless, I guess. 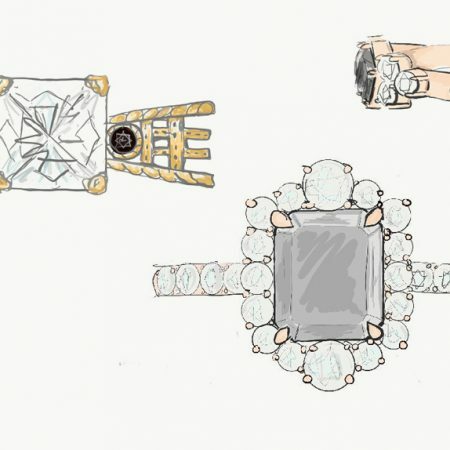 Are you currently working on a new design? I have just wrapped up the collection for AW18 and currently showing in NY which I am very excited about. A new collection is in the works and cannot wait to share once it is ready. Travel as much as you can. If you can, go to as many places as you can. I don’t regret a single place I’ve ever been. I have favorites—even the experiences I’ve had abroad that have been difficult, I don’t regret having them. There’s something for the Rainbow lovers too! 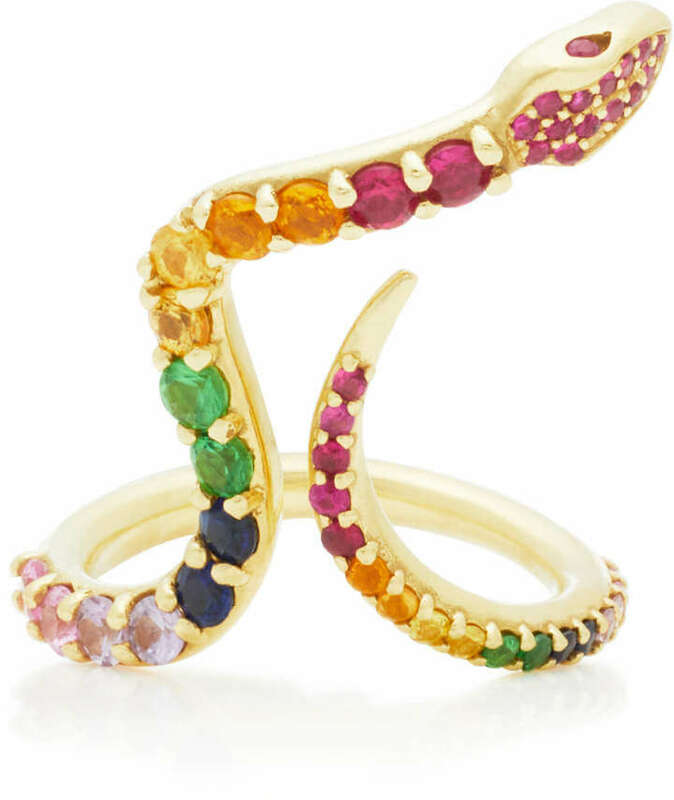 There are the two Saks Exclusive pieces, the Rainbow Sapphire Pin and the Rainbow Flash Sapphire pin. For those who rather like smaller pieces but just as stylish though as the original Ear Pins, pictured below are the Petite Ear Pins. Styles very well to with the original Ear Pins too btw! 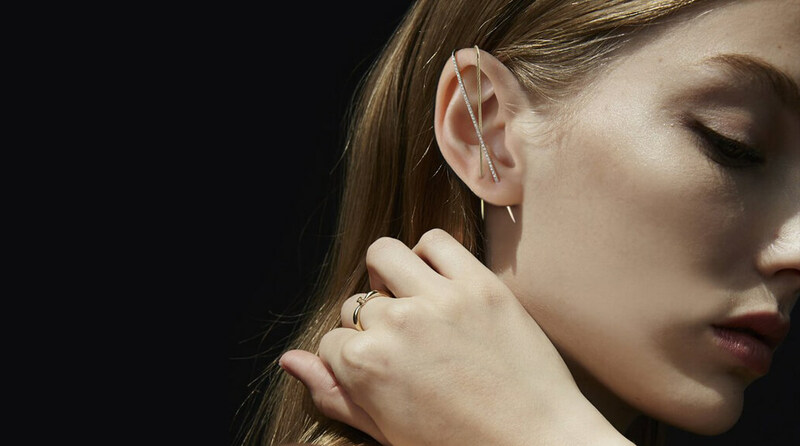 Inspired by the simplicity and elegance of the safety pin, KatKim’s Petite Ear Pin is designed to subtlety hook over the edge of the ear and through your pierced lobe. Ashley Graham, Gigi Hadid and many more. 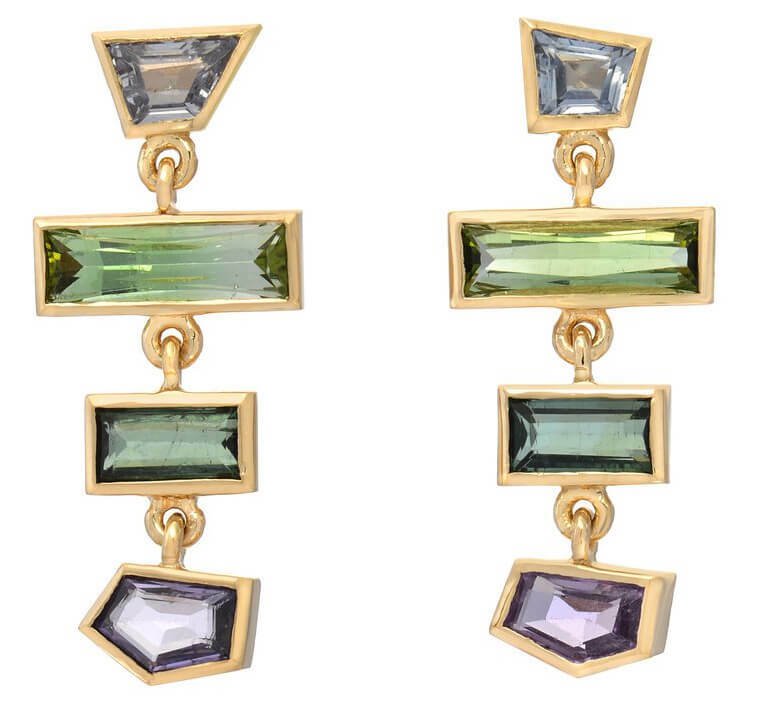 Simply because you might like these too and because I do like them myself, the Crescendo Flare earrings. 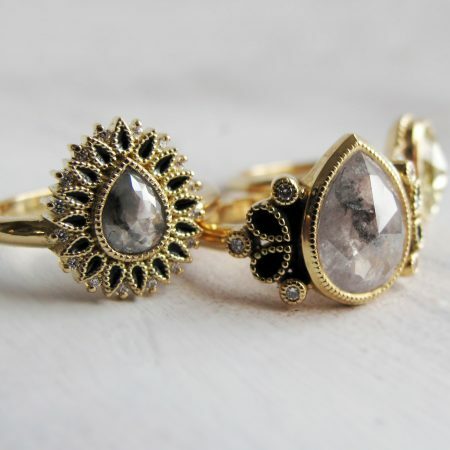 (Above as seen worn by Lucy Hale) Come as singles too, with our without pavé diamonds. For the left and/or right ear. So unique! 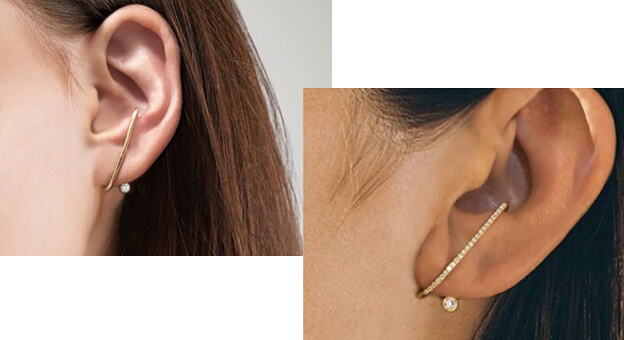 And if you like them as much as I do and you like to be a bit more unique then be sure to view these very new Arena Diamond ear cuff!